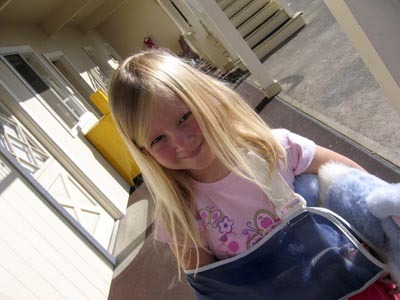 So my co-worker’s kid Ruby showed up with a broken arm. A slightly more serious injury than my broken toe. Okay, okay, my toe is nothing compared to her arm. But I didn’t have a stuffed animal or get to stay home from school. Next PostNext Steve Jobs! Send me and Adam Curry a new PowerBook! Right now!